This beautiful fully-furnished 2BR/2BA corner residence is privately situated on the first floor and features a great floor plan, a private deck with views to the San Sophias, and the added rental flexibility of a lock-off suite. Ski access could not be easier with a quick walk across the driveway to the Double Cabins ski run. 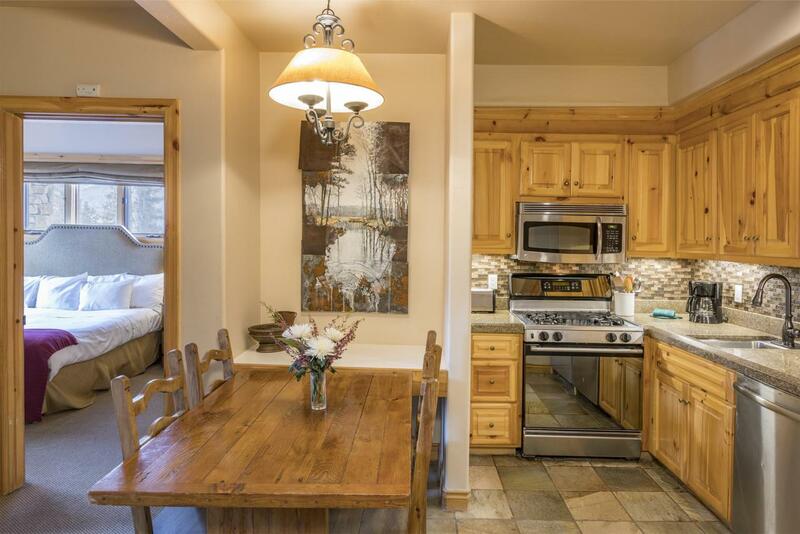 Residence comes with a ski locker, parking, on-site laundry, and all the amenities of the Mountain Lodge (shuttle, pool, spa, gym, restaurant, concierge, etc.). Assessments are for remodel and refurnishing of interior of units which is set to commence soon. This unique opportunity is priced to sell at $404,000!!! Listing provided courtesy of Maggie Martin of Telluride Sotheby's International Realty.